At our factory last week, 3 custom designed consoles were being manufactured for a prominent film, television and games school. MW Video Systems were awarded the contract to provide furniture for the National Film and Television School, based in Beaconsfield. The three consoles are required for their Main Production Gallery. 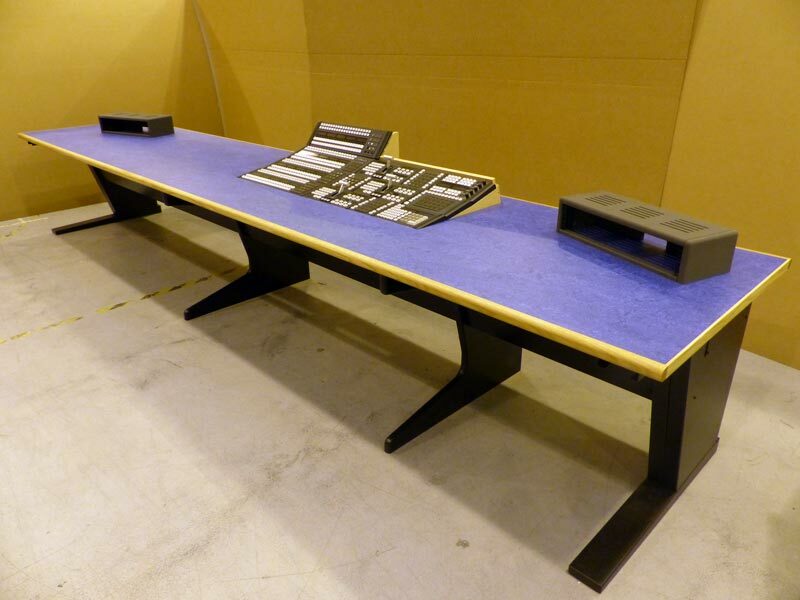 A central Production desk, Audio and Lighting Desk and a Sound Control console all have fully integrated equipment for ease of access and hardware stability. 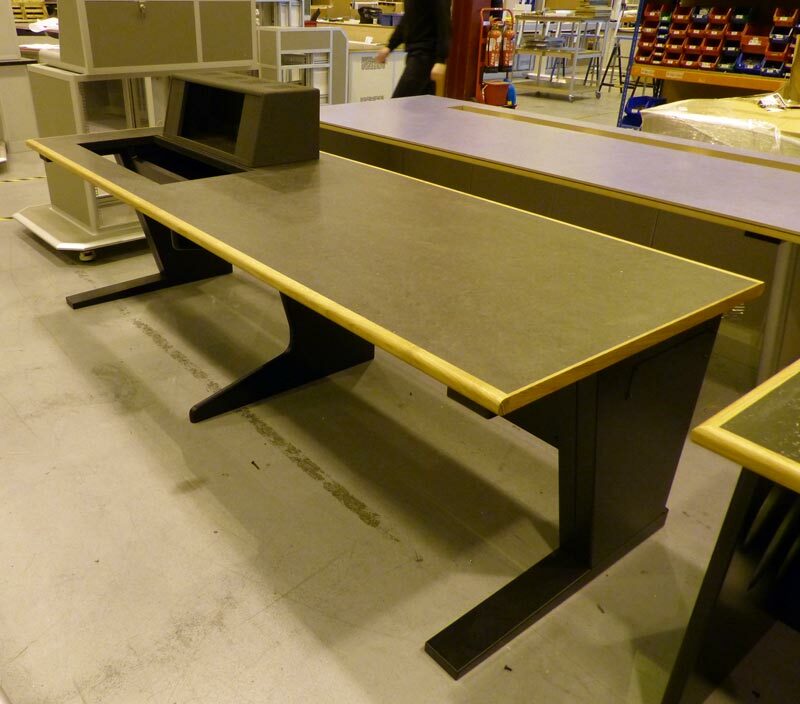 With marmoleum worktop finishes to the desks, a vision mixer has been inset into the main production console as well as desktop pods added at the left and right hand corners. Once installed, the consoles will be used by students of the school, allowing them hands on experience working with professional equipment.